Dr. Antebi has been a member of our team since 2009. She brings with her a wealth of knowledge and extensive experience providing preventive, restorative and emergency dentistry on a broad range of patients. She is our primary provider of hospital dentistry. For those very young children, for those children with extensive decay and for patients with any variety of special needs, Dr. Antebi will allow the option of comprehensive care while the child is asleep under general anesthesia in the hospital’s operating room. Dr. Antebi has been a dentist since 2001 when she received her dental degree at the Semmelweis University School of Dentistry in Budapest, Hungary. 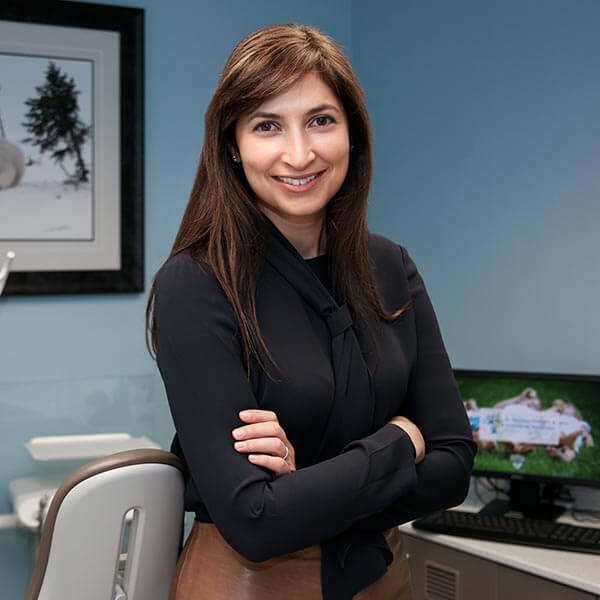 After moving to this country, she received both her dental degree and her Certificate of Advanced Graduate Study in Pediatric Dentistry from the Boston University Goldman School of Dental Medicine. Dr. Antebi is proud to be a part of Dr. Mickey’s team and when she is not helping patients in Stoneham, she practices with her husband in Lexington. Dr. Antebi enjoys her time with her family, she loves to play tennis and swim as well as teaching her two young girls to be as fluent in Hebrew as she is. Dr. Antebi is a Board-Certified Diplomate of the American Board of Pediatric Dentistry. She is an active member of the American Academy of Pediatric Dentistry, American Dental Association and the Massachusetts Dental Society.